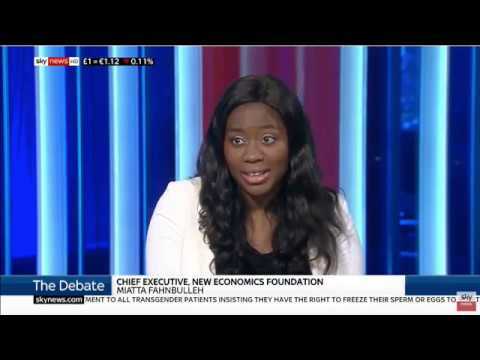 Miatta Fahnbulleh is the Chief Executive of New Economics Foundation. Miatta has a wealth of experience in developing and delivering policy to empower communities and change people’s lives. She has been at the forefront of generating new ideas on reshaping our economy inside government and out. Prior to joining NEF she was Director of Policy & Research at the Institute of Public Policy Research. Before this, she has worked at senior levels for the Leader of the Opposition, the Cabinet Office, and the Prime Minister’s Strategy Unit. Her work has included the development of policies from devolution to local economic growth, housing, energy and climate change and transport, driving forward the Government’s economic devolution agenda in England, and localism and local economic growth. Miatta has a Masters and PhD in economic development from the LSE and a BA in PPE from Oxford.